Initially studying Fashion in London in 1986 Lisa moved to Bristol to complete her degree in 1989 and has lived in the city ever since. She has worked in several areas of the industry including: running her own fashion label that was sold through independent retail outlets as well as exhibiting at The Clothes Show Live and trade shows. She is experienced in producing bespoke bridal wear and worked for two bridal wear companies based in Bristol. 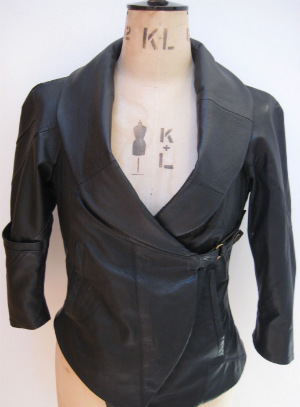 Skilled in working with leather she is particularly fascinated with up-cycling leather using old, discarded garments to make newly created designs. Lisa is experienced in co-ordinating fashion shows and has worked with a broad range of creative practices, presenting and exhibiting work including various community projects. Lisa holds a PGCE and has taught fashion for many years to a broad range of levels in post compulsory education (FE & HE). She currently designs and delivers a range of adult classes including pattern cutting and garment construction and is a resident at The Island in Bristol.